Taney County Prosecuting Attorney, Jeffrey M. Merrell, announced today that MARK A. LAMB, dob: 08-09-1989 of Kirbyville, Missouri entered a plea of guilty yesterday in front of Taney County Circuit Judge Mark Orr to six (6) difference felony and misdemeanor offenses.Â MARK A. LAMB was set to begin a jury trial that morning.Â MARK A. LAMB entered a plea without an agreement from the prosecutors office to three counts of the class C felony of stealing, one count of the C felony of possession of a controlled substance, one count of the class class A misdemeanor of possession of a controlled substance and one count of the class A misdemeanor of possession of drug paraphernalia. Between August 10, 2008 and September 16, 2008, defendant went on a crime spree breaking into vehicles located throughout Taney County. Items stolen included a laptop computer, wallets, tools and a cell phone. Almost a year prior to the break-ins, August 18, 2007, the defendant had been arrested for drug possession after deputies responded to a call regarding someone shooting fireworks at cars. Following MARK A. LAMBâ€™s arrest by a Taney County Deputy on September 16, 2008, MARK A. LAMB confessed to the break-ins, even taking the Deputy to the crime scenes. Formal sentencing in the matter is set for April 1, 2010. Because there was not a plea agreement with the prosecutor’s office, MARK A. LAMB faces the entire range of punishment for each offense.Â Each count of the class C felony of stealing has a range of punishment of one (1) day to one (1) year in the County Jail, or one (1) year to seven (7) years in the Missouri Department of Corrections, and/or a fine not to exceed $5,000. The class C felony of possession of controlled substance has a range of punishment of one (1) day to one (1) year in the County Jail, or one (1) year to seven (7) years in the Missouri Department of Corrections, and/or a fine not to exceed $5,000. 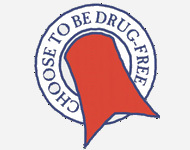 The class A misdemeanor of possession of a controlled substance and the class A misdemeanor possession of drug paraphenalia each has a range of punishment of one (1) day to one (1) year in the County Jail and/or a fine not to exceed $1,000.